The sound of mario meeting his demise is possibly one of the most frustrating yet well known sounds in gaming history. Anyone who has played a mario game will have heard this sound more times than will ever likely admit to. I’ve played many of the early mario games and love that little chubby plumber. Just a shame the princess was always in another damn castle. I love the way this soundwave turned out. It actually looks like it sounds so much. The sounwave used is from the NES version of Super Mario Bros. To me this is still the best mario game ever made. Simple, adictive and to this day has amazing sound effects and music. 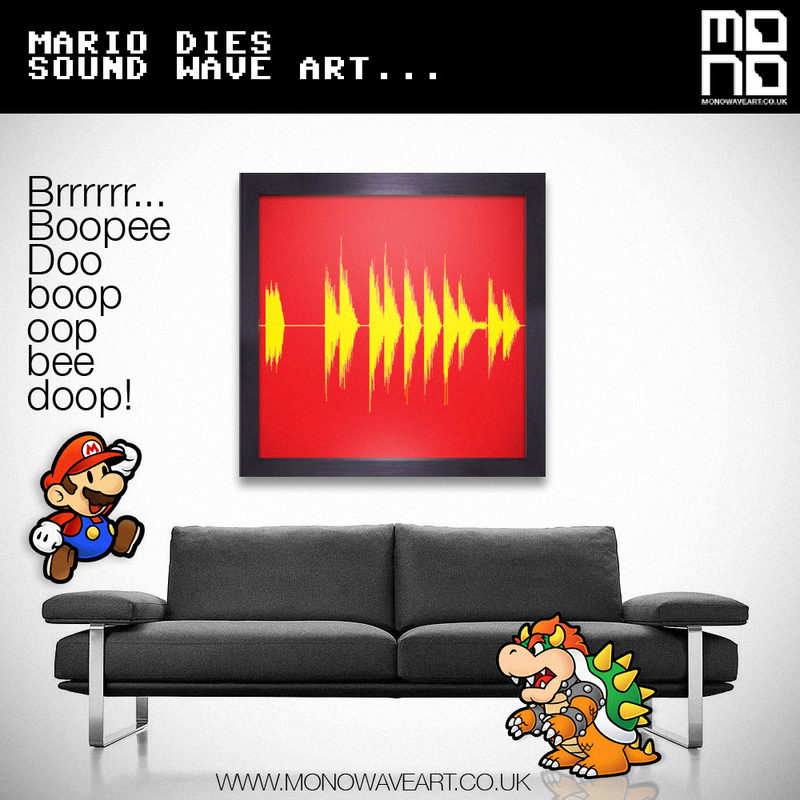 You can buy Mario dies artwork and many more as a print on canvas, acrylic, desk block or framed at my web store http://www.monowaveart.co.uk You can choose any colour you like to suit your taste. I’ve seen these before but never knew what they were called. Turns out they have a name other than ‘flaming, music tubes’; Ruben’s tube’s. The video above made me smile…. a lot. Not only is it a beautiful representation of how soundwaves work but the tune it’s showing is one of my favourite pieces of computer game music ever. If you dont know what the song is from then you have missed out on one of the most amazing gaming experiences ever. It is of course the song from the closing credits of Portal. When i played portal for the first time i had no preconceptions as to what it was, or what i was meant to do. After the first few levels i was thinking, ‘its a clever concept but it’s just another puzzle game’. As you play further into the game, it reveals itself to be much deeper than first perceived. I encourage everyone to play through this game to its conclusion. You’ll discover the truth about science, fall in love with a true companion (cube) and in the end you might just have your cake and eat it. No lie…. honest. Anyway, without giving too much away, when the end credits run and the above song plays you’ll have just enjoyed one of the most deviously tricky, heartwarming and enjoyable games ever. The sequel is pretty decent as well. Steven Merchant as the bot is genuinly hilarious. 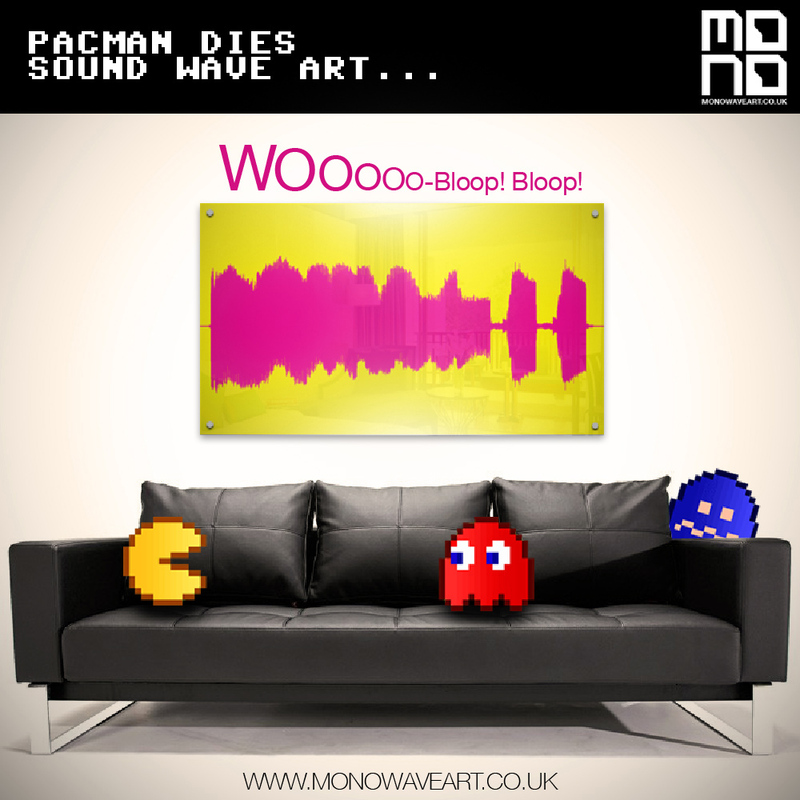 You can buy art based on soundwaves at my soundwave art concept shop at http://www.monowaveart.co.uk If you go to the geek category you can choose your product and then select Portal ‘Still Alive’ song from the drop down. Once purchased I will personally create your artwork and email a proof to you in any colour combination you want. I will even create soundwave art from your own audio files or from your favourite songs. Just think how cool it’d be to give your loved one a unique abstract artwork declaring your love. No one need know your soppy side but it will look amazing in any modern home. Is it just me or is the internet falling apart under advertising weight. Recently i have aborted looking at many pages due to the length of time the page has taken to link and load all the adverts. Unfortunately, advertisers will still have analytic figures showing that someone clicked through to a page with their advert. They will feel like its worthy of further endeavours and perpetuate the whole shambolic system. Youtube is one of the worst offenders. Once the pinup poster boy of free thinking and fresh fun video; it is now bloated with ads. No longer can you search an obscure video and revel in its hilarity or bask in nostalgia. Now you have to watch an advert for 3 seconds until youy can skip it or just skulk off despondant and look for something else. Worse still is the pop up text adverts that are timed to appear when the main point of watching is about to happen, everytime ruining the video. 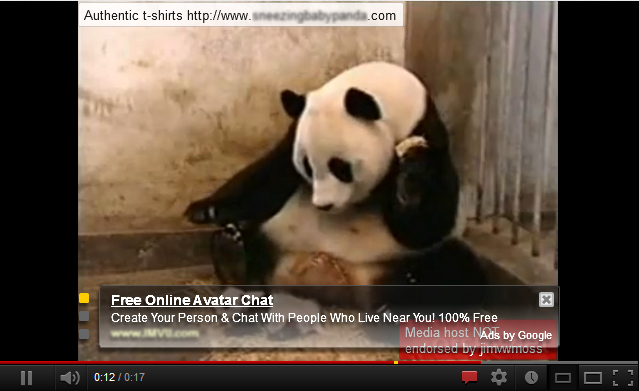 Try watching the famous sneezing panda as the baby panda is obscured just as it sneezes by a text advert that will never ever be read. Since these messages have been around i don’t think i have read a single one. I do understand that advertising pays for the majority of internet content but please, don’t be so obtrusive and in your face about it. Try and be sensitive to the actual content that people are trying to view. By jumping in front of peoples faces with a ‘LOOK AT ME’ attitude, people are instantly going to ignore your message. If its relevant and interesting and does not annoy people, it will attract people. By trying to obscure what people want to see, you will just annoy them.